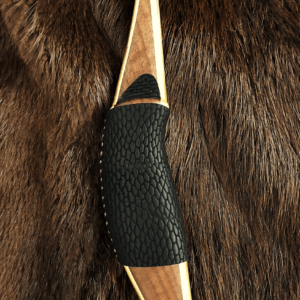 From his shop in Massachusetts, Ryan Benoit builds the Berkshire reverse handle longbow for LifeCycle Gear. 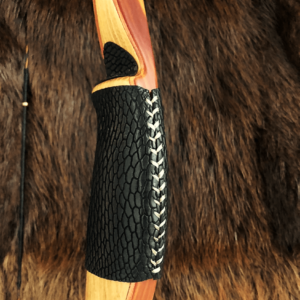 The Berkshire is a beautifully designed and crafted American Style Longbow with a revers handle, meaning the riser sits forward of the limbs. This gives the bow fantastic shootability and greatly diminishes the handshock that is sometimes apparent in classic straight limb bows. Ryan’s penchant for perfection is apparent in the design and fit and finish of theses fantastic bows. The “Berkshire” is named for the heavily forested and mountainous portion of western Massachusetts. Many people associate Massachusetts with only cities, coastlines, and lobster; but one trip through the Berkshires will quickly change your mind. The area is quintessential New England forest with hearty farmers and hunters, abundant wildlife, and arguably the most beautiful fall foliage in the country.